Where my ability to identify commercial planes is strong, my skill in terms of private planes is quite the opposite. I've always thought of business planes as cool, but few really stood out from the rest. One such plane is the unique and highly innovative Beechcraft Starship. Just look at this plane! There's no denying of the cool factor here, but that extends way beyond its exterior. It has a carbon fiber composite airframe, and was the first plane to use composite materials to such a large extent. It also had the first all-glass cockpit application on a civilian plane. In 1982, Beech worked with designer Burt Rutan and Scaled Composites — the creators of Virgin Galactic's Space Ship One and Two, to refine the design and build a proof of concept plane. It also had a canard, which is a small wing that's mounted in front of the primary wing, and serves the same purpose as the traditional horizontal stabilizer. The canard design was nothing new, although historically it has never been used in wide application. If fact, the original Wright Flyer had a canard, forward of the pilot. More modern military jets have also had canards, including the Dassault Mirage, Saab 39 Gripen and RAF Typhoon. The total development cost of the Beechcraft Starship was $300 Million. 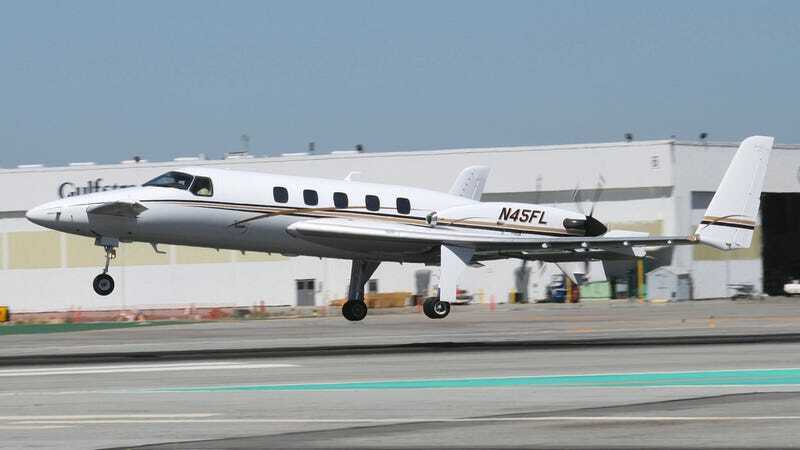 Beech wanted a successor to its popular KingAir line of private planes, with higher passenger capacity and longer range. It spent 7 years in development before making its first flight on February 15, 1986. Its propellers actually push the plane instead of pull it, like we see in traditional wing-mounted engines. The aft-mounted engines were supposed to provide a quieter cabin for passengers. The design was not without its issues, however. The turbulence of the airflow over the wings actually caused more noise than planned. Only three Starships were sold during its first three years on the market. Only 53 Starships were ever built, the last of which was built in 1995. Beechcraft actually destroyed several Starships in 2003, saying there were cost-prohibitive to maintain. Those planes were scrapped and incinerated at Pinal Airpark in Arizona. As of 2010, only nine Starships held a valid registration with the FAA. A few have been donated to various museums, including Seattle's Future of Flight Museum and the Evergreen Aviation & Space Museum in McMinnville, Oregon. Later this month, I'll be attending the National Business Aviation Association convention in Orlando, on behalf of Flight Club. It will be a learning experience for us all, and I'm looking forward to sharing you more from the interesting world of private jet travel.